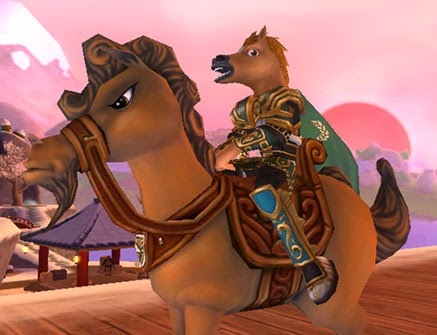 Around the Spiral with Edward Lifegem: October 2014 Pirate101 Newsletter! I can't believe it's already October... You know we're getting closer to my favorite holiday, Christmas; I have a few other favorite holidays like Thanksgiving & Halloween and since it's October, we'll just talk about Halloween! :D This month, Kingsisle is not only going to celebrate Halloween, but they're also going to celebrate their 2nd Birthday! BIRTH-O-WEEN! Happy 2nd Birth-o-ween, Kingsisle! I can't believe the 15th of this month will count your 2nd Birthday. It really doesn't seem like I've been playing the game for two years, I guess it's because I've had a lot of fun playing the game. :) I will have more on Pirate101's Birth-o-ween on a later post. Let's talk about this month's Newsletter.